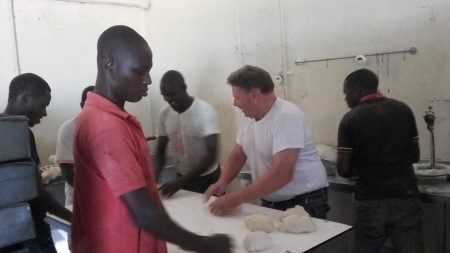 We want to give the poorest and most disadvantaged people a human existence by giving them training in baking and supporting them in operating the bakery. This way we give them a job, income and a future. They do it themselves by baking quality bread and selling it on the local market. In 2016, the second bakery in Burundi went into production. By 2015 we shipped the container with machines and goods and in October of that year we set up the bakery and started the bakery training for disadvantaged young people. In 2016, the first 10 students received a certificate as the conclusion of their education from Harry Verweij, the Dutch ambassador to Burundi. We have worked so far only in Burundi because our founder Cees Schook started in 2008 in Burundi with the first bakery for orphans (hence the name). Now, together with Inuka, we want to set up a bakery in Tanzania for people with physical or mental disabilities. A challenging but very beautiful project. Due to our experience gained in recent years, we are increasingly aware of the specific needs and where we have the most effect with our help and knowledge from the Netherlands. This is also very important: You must know the market in order to set up a successful project. 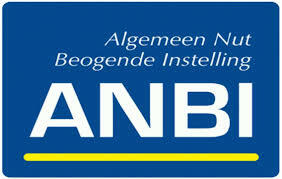 From the Netherlands we add knowledge through the experiences of our bakers and technical people. We always work with local partners in the areas where we work. They know the people and the local rules. Together with our local partner we set up the bakery. We bring the machines from the Netherlands. Here they are outdated, but therefore better suited for the African context than the locally imported modern digital machines. We take care of the training: We will work on the spot for a couple of weeks to provide the training. Over the next year we continue to assist in the further development of the bakery. Travel and accommodation costs are always paid by us. So your gifts and donations are being spent as effective and honest as possible. Take a look at our website for more pictures and information here.